The life of dying languages: strong initially but growing smaller as life passes. We used to see the translation process from a translator’s or a client’s point of view, and we often forget about the importance of the language. We perceive languages as just tools for communication, but a language is a living entity with its own life. It is easy sometimes to overlook that language is the primary technology in any network. 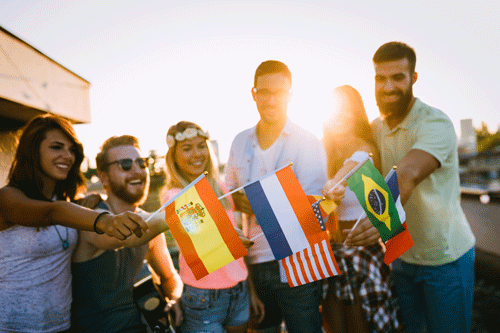 When you learn a language that somebody else speaks, you can take advantage of the extended possibilities for communication. There are about 6,500 distinct languages in use today, and they alive while people speak them. 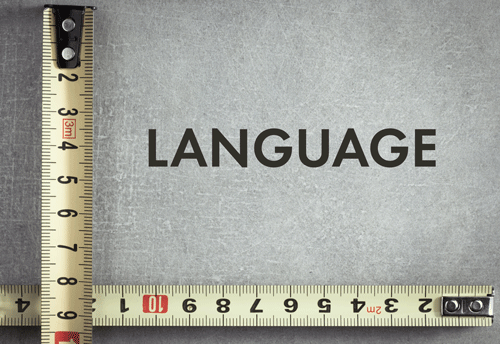 We can measure the size of a language by the number of native speakers. There is a tremendous variation in volume. While 16% of the world’s population or 1.2 billion people speak Chinese, more than 3,000 small languages are spoken by fewer than 10,000 people. The smallest language I could find is Ayapaneco. It’s spoken in Ayapa in Tabasco, Mexico. Only two people can speak it. Manuel Segovia is approximately 80 years old, and Isidro Velazquez is a few years younger. Interestingly, they quit talking to each other after a disagreement decades ago. They made peace not long ago thanks to a Vodafone campaign to save the language. 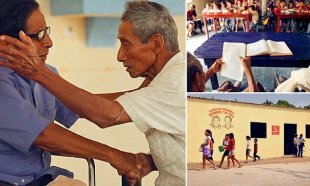 Through the campaign, the telecommunication company helped the locals to build a school where their children are taught their native language. Though, other sources state that currently there are approximately 15 speakers of Ayapaneco and that the story about the feud between the last two speakers is an urban myth. How many people do you need to preserve a language? David Clingingsmith, an economist, recently published a paper stating that 35,000 speakers are enough to protect a language from extinction. He also believes that 26% of all languages could vanish in the next 100 years, which is nearly 1600 languages. This is a more optimistic outlook than the consensus amongst linguists, who think that we could lose from 50% to 90% of all languages, which is hard to comprehend. Is it possible to save a dying language? Because of colonization and war, Irish was in decline during the 19th century, but recently the number of speakers of the Irish language has been increasing in Ireland, up 7% from 2006 to 2011. The reason is the introduction of mandatory Irish language lessons in school and Irish language radio in the 1970s. UNESCO launched an Endangered Languages Programme to protect unwritten and undocumented languages from disappearance. The program will help to save these unique examples of cultural heritage as well as the embedded ancestral knowledge. The program helps communities and governments by offering advice, technical expertise, training, and education, as well as monitoring trends in linguistic diversity. With the support of translators and new translation technologies, it will be possible to preserve and protect the most unsafe and precious disappearing languages. If you think a language can’t be revived, you’re wrong. On October 13, 1881, Eliezer Ben-Yehuda and his friends agreed to speak exclusively Hebrew in their discussions. The language had not been spoken as a mother tongue since the second century CE. Now it is the national language of Israel and spoken by about 5 million people in the country. Should we let languages die since this is the natural course of events or should we preserve them? Write in the comments below what you think. Do more with less effort using an automated translation-quality checker. © Advanced International Translations, 1998 — 2019. Translation Management System for Translation Agencies and Freelance Translators.